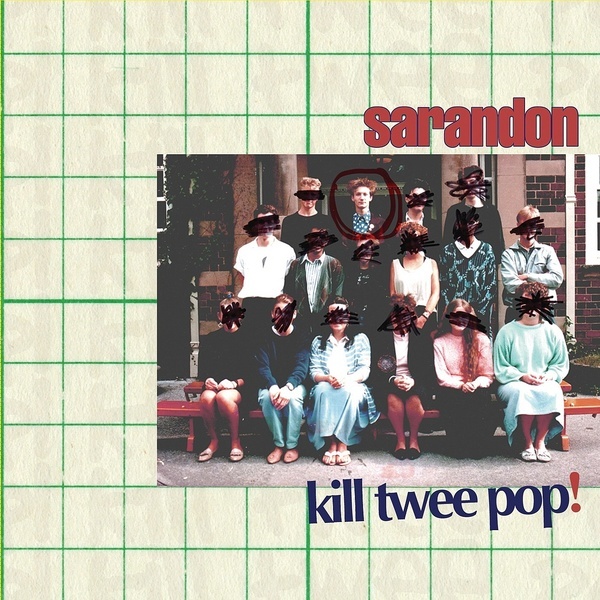 "Since their formation by Crayola in 2003, Sarandon have marked themselves as a potent group of post-punk tacticians on a mission to save indie from wetness, knee-jerk twee posturing and careless cardigan wearing. Taking their cues from the rough angularity beloved by bands on labels like Ron Johnson and Slampt, Sarandon are the proud parents of a string of five 7" EPs (and one compilation thereof) fairly bursting with short, sharp tunes, wiry riff-mad guitars, spastic drumming and terse-yet-clever lyrics. Trimming all musical and lyrical fat, Sarandon cram more ideas and passion into 1:30 than many bands do across a whole record. Some points of comparison that spring to mind include Big Flame, The Minutemen, Boghsed, Fire Engines and The Fall, and though Sarandon share some musical DNA with those groups they've also forged their own path and unique sound. Crayola has a notable (and widely-noted) talent for somehow managing to marry naggingly catchy tunes to corruscating blasts of guitar mayhem, combining the punchy, driving tunes with surprisingly memorable melodies and smart lyrics. It's pop, but possibly the angriest and most aggressive pop you've heard."